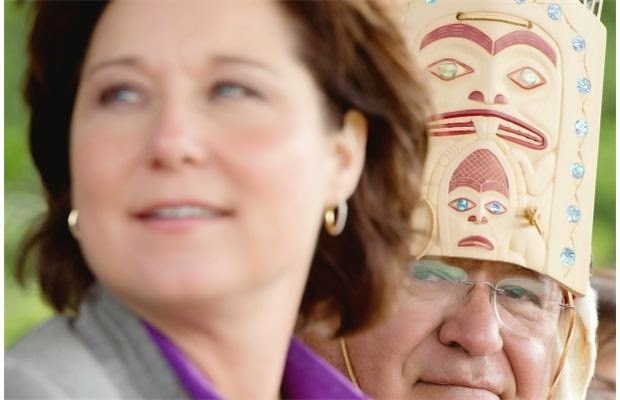 BC Premier Clark's September cabinet invitation to First Nations Leadership is without jurisdiction - and, knowingly, without siem'stum / respect. 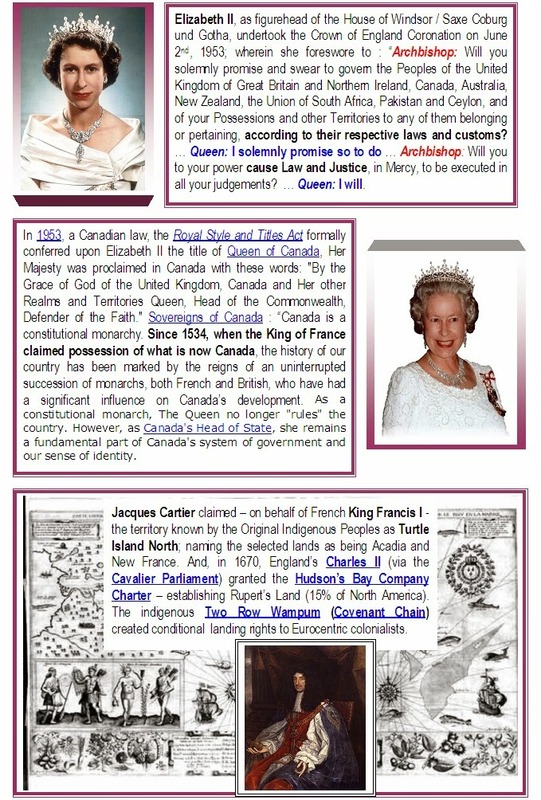 Fundamentally, this manoeuvre is based upon the historic discovery "reverse onus" principle that has plagued Original Indigenous Peoples since the first ships arrived from Europe with the Pope's Papal Bulls that declared non-christian territories as being "not inhabited" and, therefore, ripe for conquest. To perpetuate these myths today constitutes contraventions of the Declaration of Fundamental Human Rights; and - since Canada is a UN member and has adopted the Crimes Against Humanity and War Crimes Act - warrants an information submission to the UN Special Rapporteur for Indigenous Peoples and the UNSC regarding contraventions of the UN Charter, Chapter VII. CSQQN submitted the credentials challenge to the UN in August 2013; and, the update submission brief will be posted before the 2014 anniversary date. It is time to extinguish Reverse Onus at Indigenous Peoples governance and land titles issues. On the basis of the absence of "prior informed consent" in land titles matters it does appear to be the paramount governing right and duty of Original Indigenous Peoples of the west coast of Turtle Island North to determine if it is desirable to meet with the fictional British Columbia cabinet. Rather than the reverse manner of accepting an "invitation" from this hegemonic "squatter". 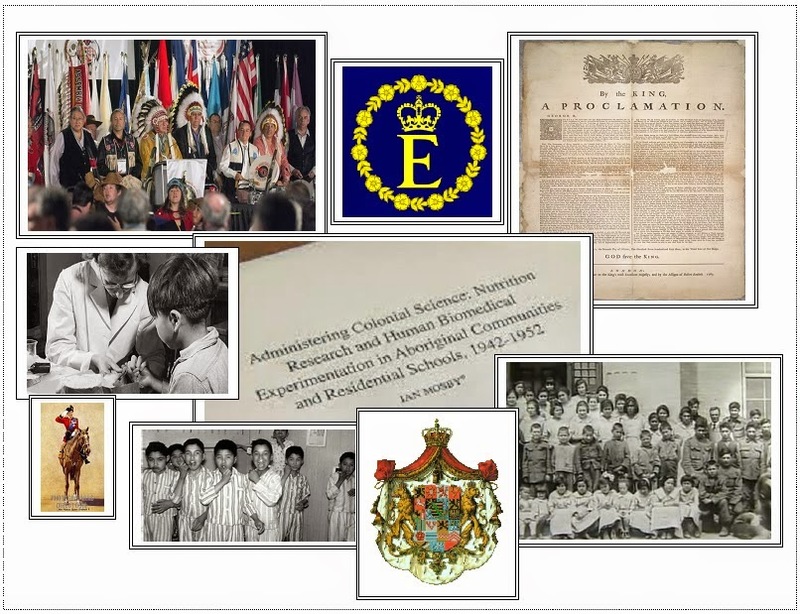 International recognition of Canada's continued discriminatory colonial agenda in this matter of Original Indigenous Peoples and nation-to-nation protocols has been evident since ambassador Chief Deskaheh of the Iroquois Confederacy was denied [by "Canada" and Britain] a right to attend the 1923 League of Nations Switzerland meeting [at that time there were no "Canadian" citizens; and, "Canada" voted in absence of entitlement as a nation]. Copyrighted TC1975 : CSQQN : 2014 : Since Time Began. Awesome Inc. theme. Powered by Blogger.